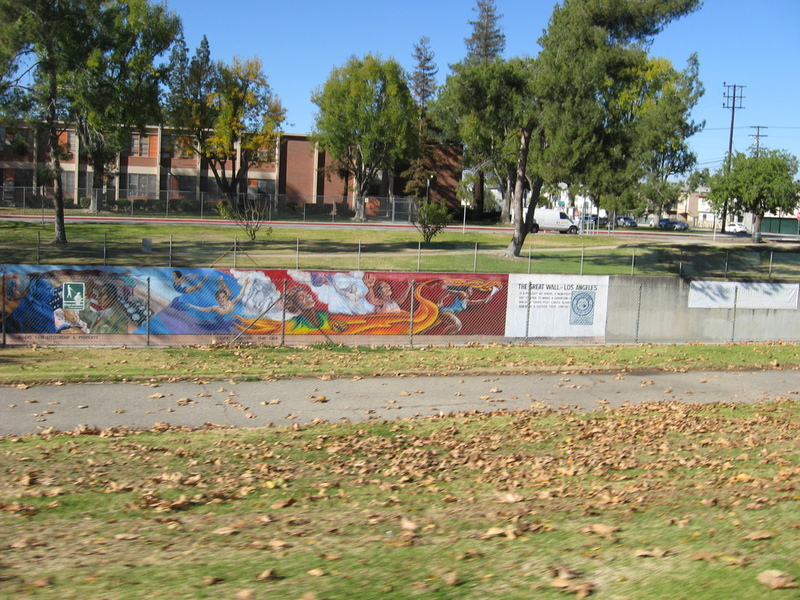 Today’s bike ride was through La Tuna Canyon and then across the San Fernando Valley with a snack stop in Toluca Lake. We met at the Elks Lodge in Pasadena. 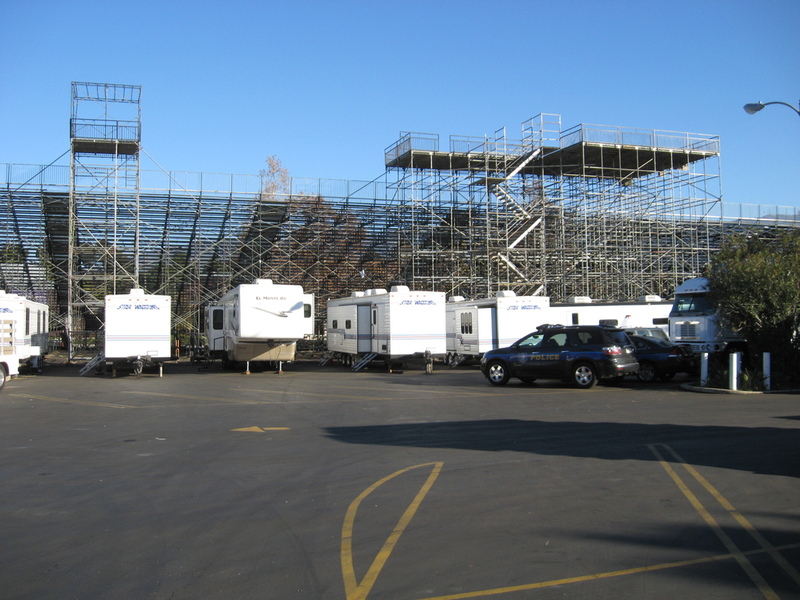 The Rose Parade grandstands were still up, and they were apparently filming something there. 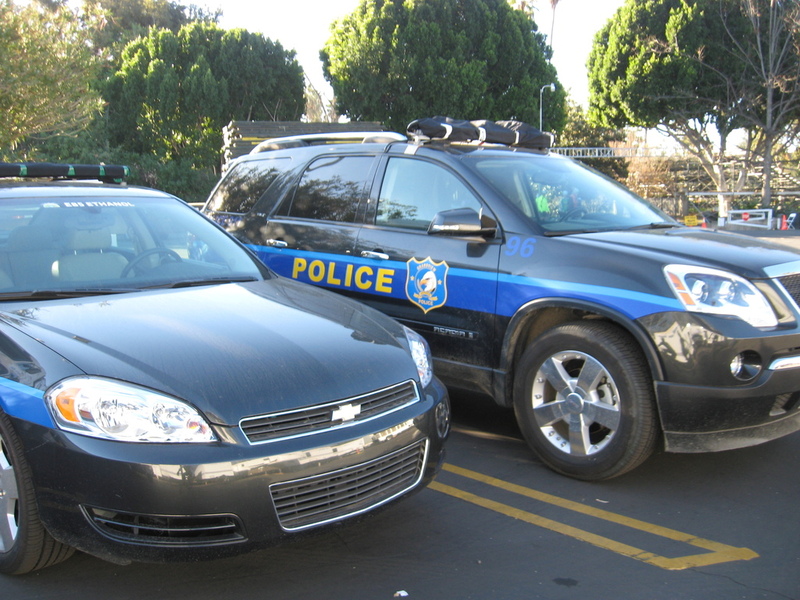 There were some police cars for a fictitious police department in the parking lot. The ride up through Montrose was nice. At the top of La Tuna Canyon we caught up with Gene and Charley. Then we all headed down the other side. At the bottom, we rode across Sun Valley to get to Coldwater Canyon Road, which we took south all the way across the Valley. The road was pretty wretched, like many Los Angeles city streets. It was also windy, since we’re having a Santa Ana right now. But that also meant that the air was very clear, and we could see the mountains very well. Along the way, we passed the Great Wall of Los Angeles. In Toluca Lake, we stopped at Priscilla’s for bagels and such. Then we headed home by the direct route across Glendale and Eagle Rock. Then back up the Colorado hill into Pasadena.